When I started this blog in 2006, its original title was Lines from Lee. It was a Seinfeldesque blog: it didn’t have a definite subject. My main purpose was to learn the mechanics of blogging so that if Mayo Clinic ever decided to start a blog I would know how to do it. In the earliest days I focused on live-blogging conferences, essentially publishing my notes from various presentations. I soon saw a connection between blogging and another passion I had developed: Getting Things Done (a.k.a. GTD). This 2002 New York Times bestselling book by David Allen had been revolutionary for me personally, and I also appreciated the online community that had embraced it. Through my blog I explored how blogging technology was compatible with GTD. It gave me a lot of blogging material, and a chance to explore connections between two of my new-found passions. I even worked GTD into the title of my blog, calling it PR, New Media and GTD: Lines from Lee. A fateful presentation led to the renaming of this blog to Social Media University, Global (SMUG) and a focus that aligned with my evolving role at Mayo Clinic, as I began to focus more on social media and less on traditional media relations. So GTD was out of the blog’s title even as the methodology continued to help me navigate my fast-changing work environment, and also to create capacity for exploration of “new media” opportunities. For the last decade I’ve gone through cycles of stronger GTD implementation followed by relapses. 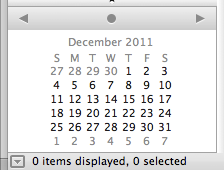 I’ve found that I’m at my best when I’m consistently following GTD best practices. Last February a colleague and fellow GTD practitioner suggested it would be good to have a speaker on GTD for our Communications Division retreat in August. 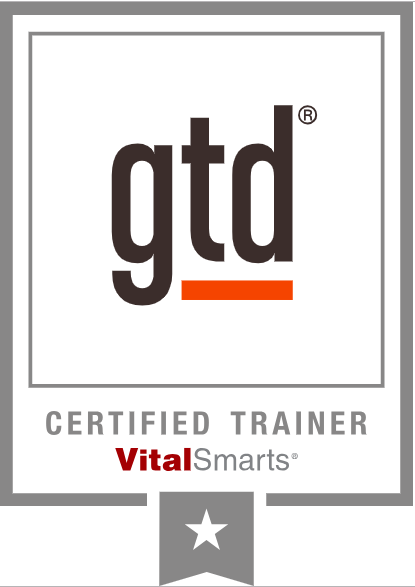 That led me to do a little exploring, and I found that VitalSmarts had licensed the intellectual property from David Allen for in-person public GTD training courses in the U.S., as well as for “train the trainer’ education. So in late April I took the GTD one-day course, followed by two days of training so I could be certified to facilitate the course for Mayo Clinic staff, and I completed that certification by teaching it several times to more than 100 Mayo colleagues. In our fast-paced world that only seems to be speeding up, I’ve found the principles of GTD make the difference between surviving and truly having the psychic bandwidth to see and seize opportunities. This one-day training course is particularly helpful because it gets you into applying the methodology in real time, even as you’re learning it. As you’re looking to make the most of 2019, I’d encourage you to at least get the updated version of the book, and also to consider the full-day course. If you’d like to explore the concepts further, check out my GTD tag archives. Have you implemented GTD? What has been your experience with it? The last several months have been a whirlwind, culminating (at least to this point) with the Feb. 10 launch of our member community site for the Social Media Health Network, which is associated with our new Mayo Clinic Center for Social Media. We’ve also now completed our staffing for the Center, and of course that was a major undertaking, as was selecting the new members for our External Advisory Board. The hectic pace and the need to try to get back on top of it all led me to refocus on more rigorously applying David Allen’s Getting Things Done methodology, which was among the main topics of this blog in the pre-chancellor years. 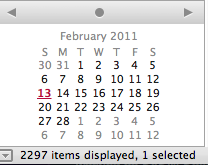 Here’s a post from 2006 that’s a good jumping-off point for GTD exploration. Of course I didn’t capture the “before” state, but let me assure you it wasn’t pretty. As of this evening I have kept my office in the clean and clear mode for 27 work days. 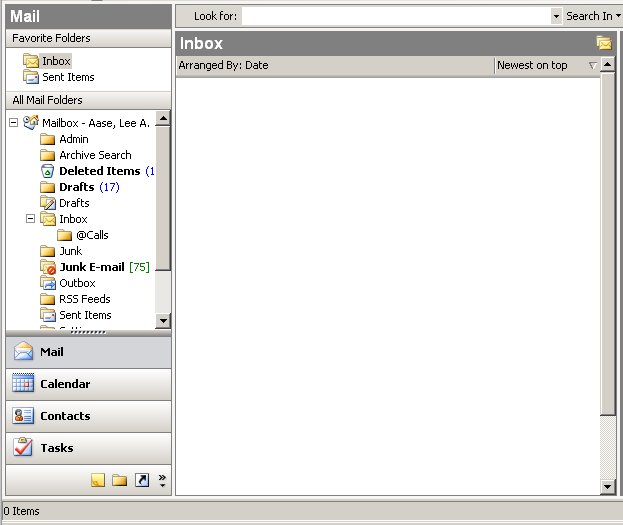 I’ve had five straight days of getting to the empty email inbox. If you haven’t explored GTD, I highly recommend it. While we have a SMUG book store that I plan to reorganize and upgrade, I wanted to take a moment to highlight three books that most professionals thinking about applying social media will find particularly helpful. Getting Things Done, by David Allen, is my absolute first recommendation, particularly if you just don’t think you have the time or energy to fit another thing, social media, into your already overcommitted life. This blog started out as a way for me to learn about blogging, and Getting Things Done (or GTD) was a key element of my posts for the first year or so. Just type “GTD” in the search box at right and you’ll see several of those posts. A good way to get an intro to GTD, before you buy the book. On a similar topic, I recommend The 4-Hour Workweek by Tim Ferriss, particularly for his observations relating to email and meetings. He’s snarky bordering on sarcastic and I don’t buy into his “new rich” goals for life, but he has some excellent and immensely practical observations on how to get the most out of your work time. Finally, on a more theoretical note, I offer Free: The Future of a Radical Price by Chris Anderson. This book won’t help you swim through the torrents of email and other commitments, but it will give you perspective on how and why it makes economic sense for services like YouTube, Facebook and Twitter to be free to users. And it may help stimulate your thinking about you work or business, and how you can incorporate free into your business model. I’ve reviewed each of these books in more detail here on SMUG, so look in the book review category for background. If you click the affiliate links above and buy the books, SMUG would get a dollar or two. But if you have an Audible.com account, you can get this last book for free. The other two also are available on Audible.com, which leads to no SMUG kickback. It doesn’t matter to me…get them however you would like, but I really think you’ll find these books helpful.